Flow sensor and fittings are NOT included. 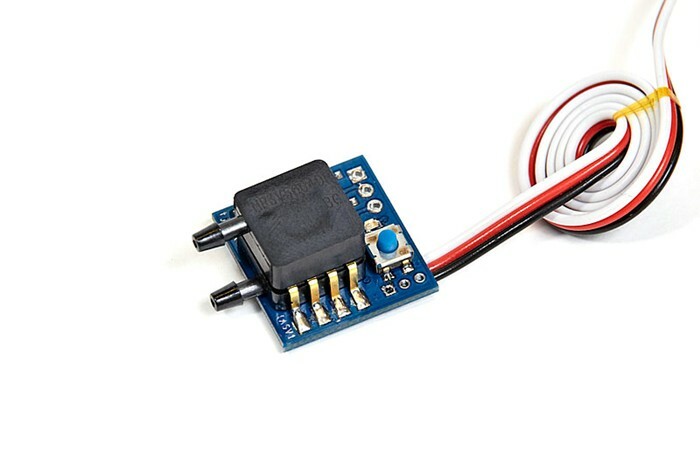 This very simple solution add precise flow-sensor based fuel monitoring and warning for your jet powered models. 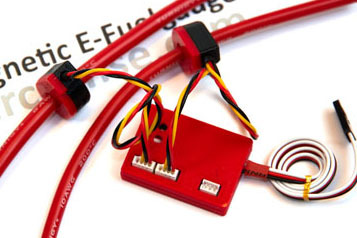 The sensor is based on the same proven SBUS2 platform as the E-FuelGauge. During flight, or on the ground, the units "learns" total tank capacity, either by engine running or simply pumping fuel through the system. When fuel tanks are empty, full fuel count is stored by toggling the DG2 switch on the TX. No need to access the unit inside the aircraft. During flight, the telemetry system will show percentage remaining fuel, as well as a flow indication (not calibrated to ml/minute). You can then set an alarm for eg. 25% remaining fuel.